Spaghetti, Fettucine and Angel Hair! 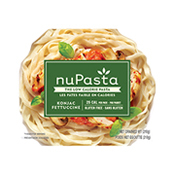 NuPasta comes in 3 different forms: spaghetti, fettuccine, and angel hair. 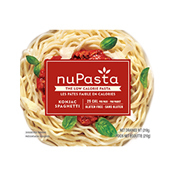 We wanted people that bought NuPasta to have options and further explore what they could make with the different varieties of pasta. Nope! 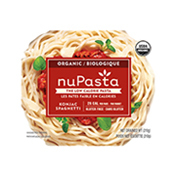 Though the different pastas are shaped differently, they are identical in their formulation. 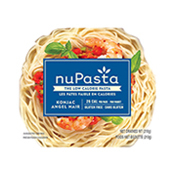 That means the nutrient facts for all 3 pastas are exactly the same! 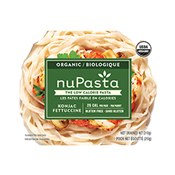 NuPasta takes on the flavor of the pasta sauce, however the different shapes of the 3 products result in slightly different tasting effects. That means that the taste of the pasta is dependent on what sauces and ingredients you use! You have control! Now the question is: which type of pasta would you prefer?